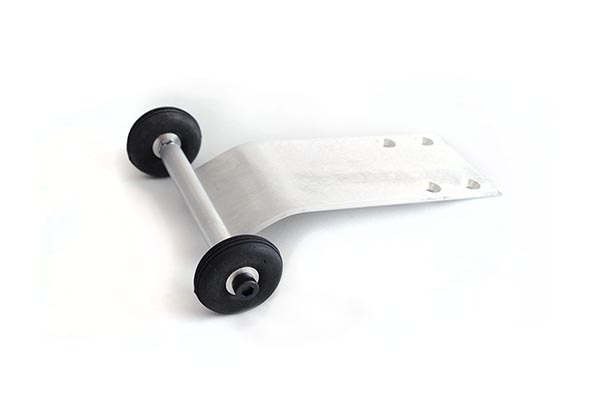 Made from T6-6061 Aircraft Grade Aluminum. Legendary durability. 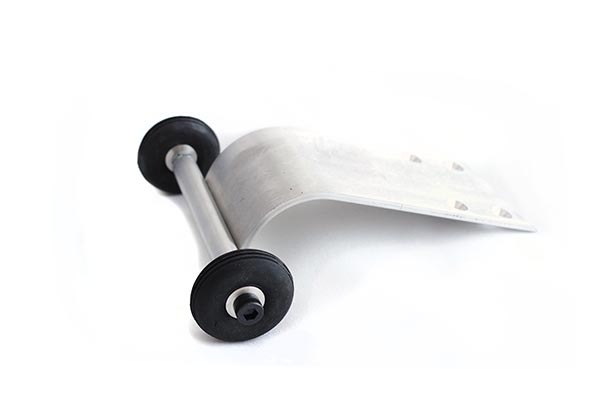 Machined, tapped, bent and finished to the highest tolerances. 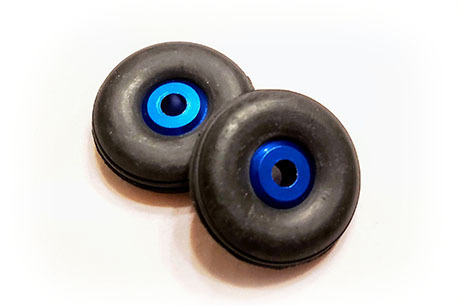 Nothing compares to the performance, fit and finish of the Swami Bar. 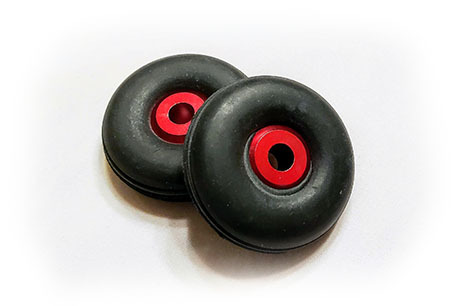 Having served the RC community for over twelve years, the SwamiBar has proven itself as the leading technology for wheelie control on Traxxas Trucks. 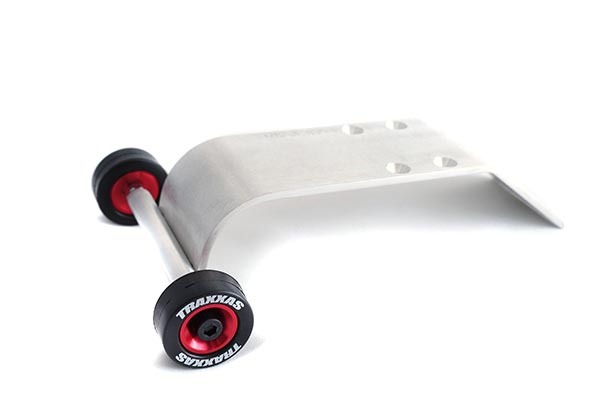 The SwamiBar has consistently received rave reviews through RC forums and is proud to be the number one recommended Wheeliebar for the Traxxas Electric Stampede, Rustler, Bandit and Slash. 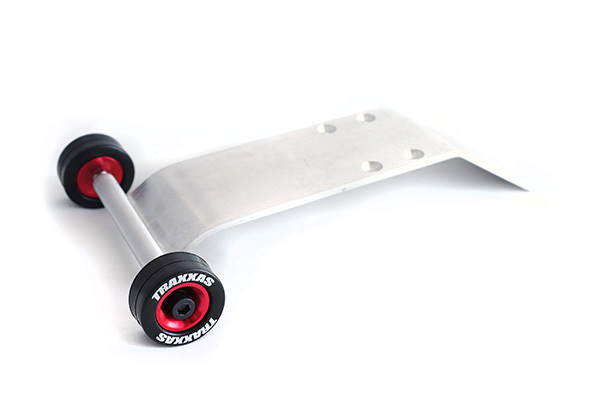 Combination Skid Plate and Rear Brace (Stampede Only). Works with axle. 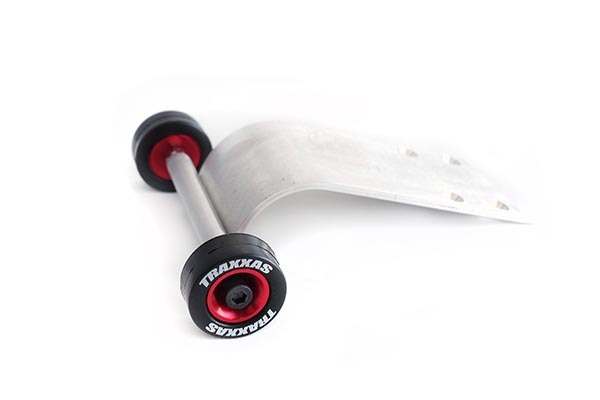 Swami-RC began in September 2002 with the goal of providing a central repository of Traxxas Stampede RC (Remote Control) Videos. That was before Youtube! 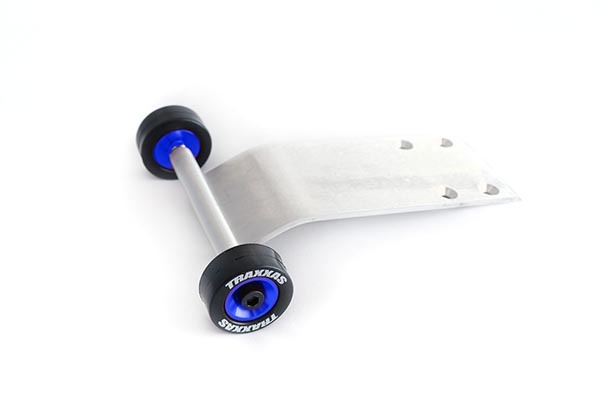 Now we just sell the world's leading wheeliebar solution! 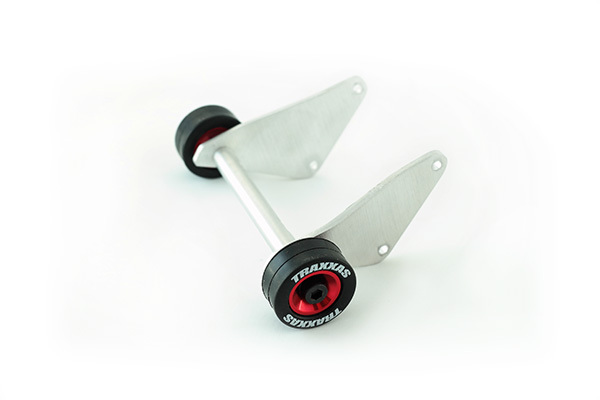 Over this time, we've sold more than 3000 high-quality wheeliebars! Thanks for your support! Laid Back or Full Bend? 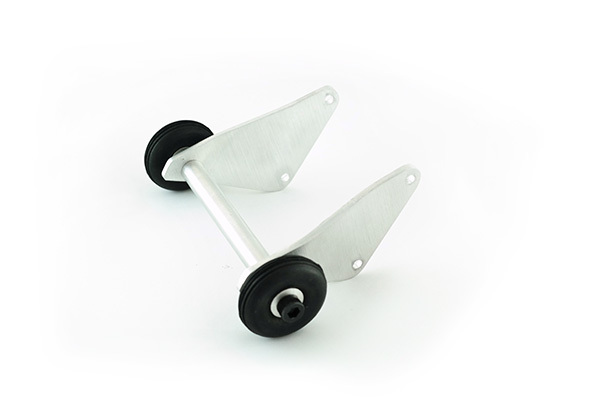 The traditional full bend nicely tucks the wheels away and offers slightly more motor protection. 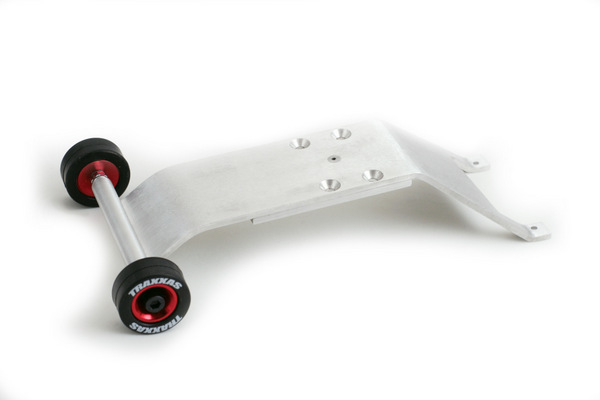 However, high center of gravity (Stampede) and added power (brushless) can overpower the full bend and flip the truck onto its roof. For higher power setups, go with the Laid Back bend. 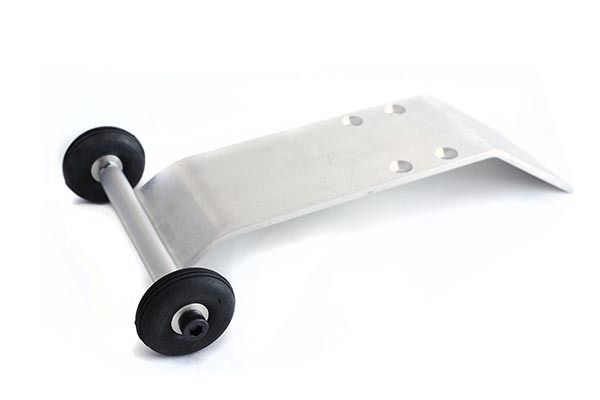 "Short" is our normal plate that fits Stampede, Rustler, Bandit and Slash (2wd). 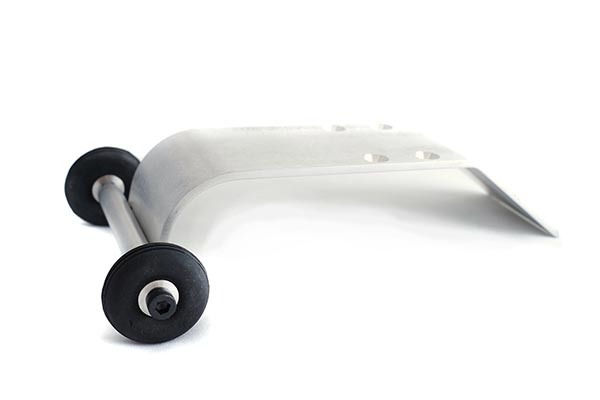 "Extended Deflector" is an option for Stampede (2wd only) that helps afford more protection for the rear brace.